Nonprofit executive compensation tops the current list of IRS hot button issues. In recent years, the IRS has been ramping up its oversight and enforcement of nonprofit executive compensation. With all the rancor surrounding executive perks and bonuses on Wall Street, expect that populist sentiment to spill over into the nonprofit sector as well. It all adds up to the equivalent of a message written in the sky: get your house in order! So, how do you do that? Let’s take a look at a few key points that will go a long way toward ensuring that the compensation package for your nonprofit’s leader(s) is appropriate. Its also important to note that each factor is weighted differently depending upon the circumstances. It is a very subjective exercise. We’re often asked, “How much is too much?” Good question, but hard to answer. Frankly, it just depends. I know, I know…“not very helpful”, you say. There are legitimate, charitable organizations whose executives make up to, and sometimes more than, $250,000. For a very select few, a lot more. But let me put it like this…if you have an employee whose compensation package exceeds $100,000, you better be prepared to defend it. Needless to say, Wall Street-style perks and bonuses are out of the question. And, depending on your organization’s budget, a $10,000 salary package could be considered unreasonable. Due diligence. Due diligence is the brother of reasonable compensation. In order to have a compensation package considered truly reasonable, the figure must be the result of a substantive evaluation of what makes sense for the job. That is the responsibility of the board of directors or compensation committee. It is considered a best practice to document the method used to determine salary packages. There are various resources that can be used to come up with the information: The Labor Department, census data, job-oriented websites, national and local charities, etc. It’s best to use multiple sources. Arms-length. This is often the one that hangs folks. You can do all the due diligence you want and come up with the nation’s most reasonable compensation package, but if your compensated executives effectively control the mechanisms of their own pay, then trouble awaits you. For example, let’s say the president of the board is also the salaried Executive Director. That’s OK, as long as your board structure and meeting minutes show arms-length. In other words, the president better refrain from discussions and votes about his/her own pay package…plus, a majority of those voting on the package better not have any relation to him/her, by blood, marriage or outside business. Intermediate sanctions penalties await those that mess this part up. Nonprofit executive compensation scrutiny is not going away anytime soon. In fact, it is only likely to increase. If you know your nonprofit has problems in this area, be proactive and get it fixed immediately. I am the bookkeeper for a 501C in New York and I am very uneasy paying one of the Board members for his contracting services. He came in as a friend of one of the Board members and he now sits on the Board at our place of business and has been paid over $100,000 in the past three years. Is this legal? Please advise. Conflict of interest can exist without necessarily becoming disallowed private benefit (inurement), but the burden of proof is on the charity. 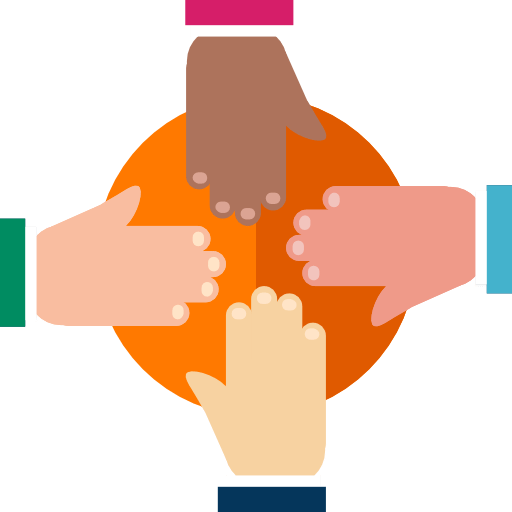 Anytime a board member is providing products or services to the nonprofit, that person must recuse themselves from the discussion and board decision to hire their company. Also, the burden is the charity to demonstrate that the choice of using their services was a better one that using another company. This includes getting competitive bids and thorough due diligence. This is ever more true when you get into the dollar amounts you describe. If the IRS were to determine that this was inurement, it can levy Intermediate Sanctions penalties against the board members personally. Very painful, very expensive, and very embarrassing. The board has a fiduciary duty to document, document, document to justify such a choice. I am starting a small non-profit with 501c3 status that I will serve as CEO. I was told I can serve on the board as long as I do not vote. I will have three separate board members already lined up. Is it better in the eyes of the IRS… if I am not on the board at all? I would love a second opinion. 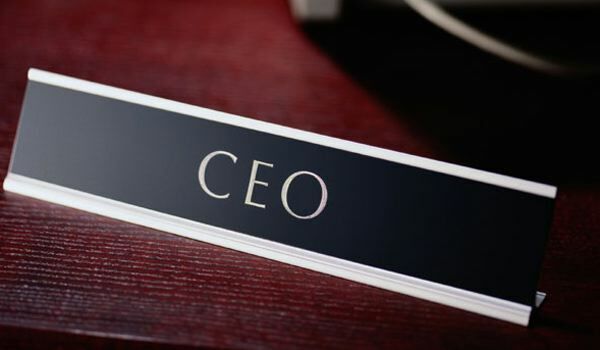 It’s not too unusual to have a CEO or Executive Director serve as a board member, also. You tend to see this more with new and smaller organizations. As nonprofits get bigger, this is something that often gets phased out. And, as a board member, you will be able to vote…just not on issues affecting your employment or compensation. You will have to recuse yourself from these votes due to conflict of interest reasons. We are an AAU basketball organization and still waiting on our letter from the IRS for our Non Profit status but have our EIN number. My question is the owner, CEO wants to take a salary monthly. I can not find any guidance anywhere with the IRS and even waited on hold for an hour for them to tell me the publication I have that tells you nothing! How do I figure out what what he can do? He does everything and I mean really everything!! Getting ready for the spring season he is on the go from 8am-12am! Can you please give me some guidance, rules and can I call the (888)361-9445 for more info? There is no reason the board cannot go ahead and assign him a compensation package. You don’t have to wait on exemption to do that. Just make sure the compensation is fair relative to the job description and that he is not involved directly in putting together his own package. I am on the board of a non-profit with annual revenue of about 2mil. Have just completed our first year with a paid executive director and we are doing an annual review. Many of the board members want to base his salary and/or bonus on how much he raises from sponsors. I particularly dont agree with this because many of these sponsors were donating prior to his arrival and many of the new ones are gained through other board members and associate members. I would rather giva an annual raise. what I am looking for is the average salary for an ED with revenue of this size. He is the only paid employee. 90 percent of our income comes from one event we hold each year so the majority of his work is done in the 6 months leading up to that event. What i would like to know is what is the best way to base his salary on as well as bonuses. Be very careful about percentage-based pay. This is not considered a best practice in the nonprofit world, plus the IRS hates it. Decide on a reasonable salary range based on the job description, then assign a fair, fixed salary based on a combination of his talents and abilities and what the organization can afford. You do not necessarily have to limit yourself to looking at other nonprofits as examples if the budget allows for it. Set up an annual review system and give him raises as appropriate. Bonuses are acceptable, but I do not recommend basing it on a percentage of money raised. I am starting a small non-profit with 501c3 status that I plan to be the executive director to promotes the arts in my community. I am now working on asking people in the community to be on the board. My concern is that I have heard horror stories of boards that have taken over organizations and thrown out the person who founded the organization so I am really timid about selecting people. My plan is to possible be the president and as well as the director since I will be doing most of the work. My other concern is after reading your article, I am not sure if it is ethical to start out as the president and the director? Or is it ok at the beginning? It’s actually very common and practical in the beginning. That being said, one of the tradeoffs with charities is that the founder must accept the reality that the organization they are starting will never be theirs. It’s not like starting a for-profit business. Select your board members wisely and engage them in the vision. The risk is real, but is usually manageable. Hi Greg, my father had started a 501c3 organization which I run with my siblings. We are all on the Board and we are active in the grant making, fundraising, etc. Are we entitled to compensation/salary since we are children of the founder?? And if so, how do we determine the amount?? Probably not, Denise. The only time an insider of a foundation can be paid for services is if they are performing essential “personal” services, usually defined as legal or professional in nature. This is a complicated topic…to much so for this forum. I highly recommend contacting us for a consultation block before proceeding. Hello Again Greg, in a previous response you said usually the compensation is based on job description, budget and also the individuals qualifications….I am brand new to the CEO world or being a founder for that matter and I have decided to start a non profit organization full force, putting this together is my only job. I am unemployed as you know it takes a lot of work to put an organization together from the ground up. I only have a human resources background of 6 years. Will that be a problem in getting reasonable pay? To help me get by till more funds is available. It will be hard to do this project and still have a job on the side just to get by with me and my two kids. I will be the only one getting paid till the organization gets more structured. I will be having employees but that wont come till I finally get a facility for the emergency shelter. What do you recommend? I’ll add my thanks to everyone else here for your patient and helpful answers. I’m a university professor, but on the side I have started a small but successful and sustainable publishing business (sole proprietorship, no employees) specializing in college textbooks, starting with two that I wrote myself and self-published. I’m now taking on other authors as well and paying them royalties. I have long toyed with the idea of expanding the size of my operation (i.e., many more titles, an employee or two) and turning it into a sufficiently profitable business that could my supplant my current day job, which pays around $100K + benefits. The twist to this story is that my self-publishing endeavors were ultimately motivated by my deep unhappiness with (1) the exorbitant prices commercial publishers charge students for textbooks and (2) the paltry royalties paid to authors. The first means that students are getting literally ripped off (the free market model is broken, because the students don’t choose the books they have to buy); the second means that needed textbooks aren’t getting written because the incentives to authors are too small, especially in niche fields. So, I’ve recently begun wondering whether I could convert the business to a non-profit whose express purpose was to encourage college textbook writing in niche fields and to make those books available to students at a truly fair price (half or less of typical retail prices). Could such a business qualify as “educational” for 501(c)3 purposes? Just as important, would I be able to have confidence that if I went to all this trouble, I wouldn’t be “punished” with an executive salary that falls far below my current regular salary plus current proceeds from the books? In short, I like the idea of a non-profit publishing model for fostering the creation and availability of instructional materials, but I don’t want to go there if it’s going to mean a huge and permanent personal financial setback in comparison to the effort invested in running the business. I’m wondering whether you see a pathway that addresses the concerns I raised, or whether I’m just barking up the wrong tree. It’s possible, Grant…I just don’t know if it’s practical. Nonprofit publishing for literary or educational purposes is a possible 501c3 candidate. I think the problem for you will come with the lack of personal control, ownership interest and earning potential. Even if you could match or exceed your current earnings (and you probably could), the other issues may make the risk too great to take. Maybe not. If you are serious about bouncing around this idea, call us for a consulting appointment. It might help you sort out the pros and cons. Good luck! Thank you for this site and your cheerful answers to so many questions. I have one more that I hope you can answer or guide me to resources on. I’m board chair of a small 501c3, and sometimes we can afford to pay our ED a modest salary, sometimes we cannot — but she is devoted enough that she continues her work even without pay. When she’s not getting paid, she will take on outside consulting jobs, often in the public sector or non-profit world. Recently, some of the folks to whom our ED is consulting want to pay her through our 501c3, instead of on a 1099. So it’s really her revenue, but can it essentially be run through our 501c3 (whatever comes in goes out to her) without it being considered an improper “private benefit” or creating other issues? Thanks in advance for whatever thoughts you can provide. It’s not a good idea, Robert. There is no practical value to the other organization to do this…and it certainly is not a best practice for yours. While it’s true the other company could deduct the cost as a contribution to your nonprofit, it can also deduct it as a consulting fee if she is paid directly. It’s not necessarily private benefit…she’s earned her money. It’s just not your nonprofit’s responsibility and your resources should not be used to facilitate this. Hello, I am in the beginning process of starting a non profit organization, in specific a domestic violence shelter for abused women and children in CA. I have not been deemed by the IRS as a 501c3 organization yet (still doing paperwork). Can I start requesting grants before my official status, or asking for donations to support my cause (with disclaimer that their donations will or might not be tax deductible)? Nothing is stopping you from asking for donations without 501(c)(3) status. Just make sure you are explicitly clear that the organization is not tax exempt yet and donations are not tax deductible…otherwise, you will incur the wrath of both the IRS and your state attorney general’s office. These pre-501c3 donations may end up being tax deductible eventually as the 501c3 status is retroactive to your incorporation date. 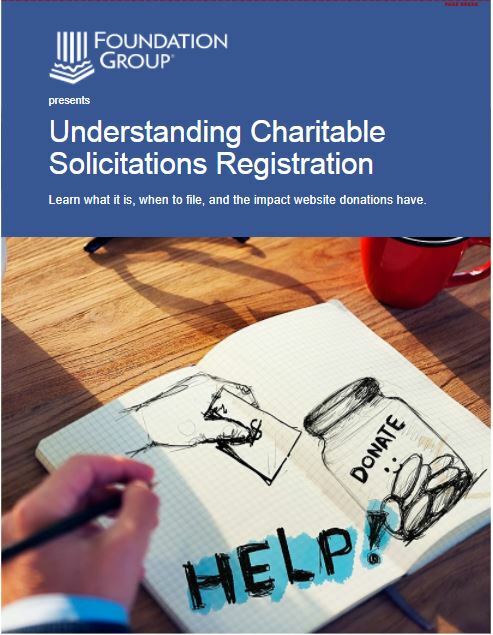 Don’t forget about needing to register your nonprofit for charitable solicitations with the CA AG. If you need help with all of this, let us know. It can be tough for do-it-yourselfers. Thank you very much, I will be sure to do that. Foundation Group is actually preparing my 501c3 paperwork. Do I need to register with the chartiable solicitation now, or is that done after i get approved for 501c3 status? Usually after, Miriam. I looked up your client file and saw that we just got started on your case. I’ll have your consultant follow up with you about the registration process. Great to have you on board! Great forum, I’m glad I found it. My question concerns the formula for a bonus for the Executive Director of a 501c3. A sizable portion of the organization’s annual net income is investment income. Does the IRS require that the investment income be disregarded in computation of an annual bonus for the Executive Director? Thanks. Great question…be careful about bonusing EDs regardless of the formula. That gets into incentive-based pay, which the IRS does not like in a 501c3. Best practice dictates fixed compensation based on job description, the staff member’s qualifications and the organization’s overall budget. If you want to reward success, give him a raise, not a bonus. Hi Greg! Wow, what a fantastic article. I have read over all the posted questions and learned a lot from your responses. Thank you. I am in the process of starting a for-profit business and I would like to have a charitable side to it as well. My business is animal focused and I would like to donate to animal rescue groups, shelters etc. I originally wanted to donate part of proceeds from the business to those groups but have been considering setting up a 501c3. I have recently designed items specifically for charitable purposes. All proceeds from the sale of these items will go to animal rescue groups, shelters etc. Right now I am a one-woman show and my main focus is to get my business off the ground but I want to give to charities from the beginning. I want charitable donations to grow as my business grows. I was wondering if it would be better (and easier) to just donate part of proceeds from the business or set up a 501c3 at the beginning? Any guidance would be appreciated. Thanks again for the great information. I don’t really see a reason for you to set up your own 501c3 if your for-profit business is simply donating portions of its profits. Your tax deduction potential is the same whether you are giving to a 501c3 you set up or to an existing 501c3 animal charity. Plus, you would have the overhead of running the 501c3. Hope that helps. Hi Greg, great article..thank you! Hoping you can answer a few questions for me. -In a non-profit school, is it ok to pay substitute teachers under the table? Is there a max amount that is acceptable to not report? I’ve read $100, but wanted to ask. -Can you trade services for cash? Example: parent is allowed to do work at the school (that would otherwise be paid for) in exchange for reduced tuition, under the title of a “scholarship” (note, parents are hand picked by President without full review by board.) Is this person technically an employee? Are there tax implications? -If someone is receiving excessive pay and I want the IRS to look into it, where do I go? -Lastly, can salaried teachers receive arbitrary semi-annual bonuses based on how the program is doing financially, and can they receive these under the table? Is there a limit on how much is ok if under-the-table is in fact ok? With the caveat that I don’t know the entire context of the situation, here’s my answers. 1) There is no acceptable minimum amount. If they are employees for 5 minutes or 5 years, they must be treated as such for tax purposes. 2) You can trade service for tuition credit, but it cannot be considered a scholarship. In fact, the value of the reduced tuition should be reported on Form 1099 as income to the recipient. A true scholarship is not given in exchange for services provided. 3) Not an easy answer. You can always start with the local IRS office, but realize the potential can of worms you are opening. The law of unintended consequences may come in to play here. Start by voicing your concerns to the board. 4) Again, nothing under-the-table is legal. Also, incentive-based pay is highly discouraged in a nonprofit. While not always a violation, it is very difficult to establish such a system that could withstand scrutiny. What you are describing sounds pretty bad, frankly. Ok, lets say I am starting a company which solely works to provide a service which will only be “sold” to 501c’s- for their benefit (another means of recieving donations or advertising, etc etc, for example)… Since my business exists solely to help out 501 reigstred entities, is it even allowable that we ourselves file as 501c? I have not found a whole lot about our (basically) 3rd party kind of situation… Thoughts? The fact that your clientele is exclusively nonprofit does not qualify your business to be nonprofit. Your business would still have to satisfy all other requirements (purpose, governance, programs) that any other candidate for 501c3 status would. Fair enough! I assumed as much and will likely have questions more directly concerning the above threads but for now, we are just tiny and havent chosen any genuine direction. Thank you though! I am currently in the beginning stage of creating a NPO. I currently write a blog the has gained a lot of recognition in my community and I want to go the next level of helping my community. I do want to earn a salary as this will be my only "job". I am passionate about helping my community, but I do need to earn a living too. How can I have control of the direction of my organization and earn a decent salary? Is it possible and how? What do you recommend for individuals who are just starting out? It is certainly possible to earn a salary from this organization, but it is equally important to understand that your ability to "control" the direction yourself is necessarily limited. Nonprofts are not the same as for-profits. 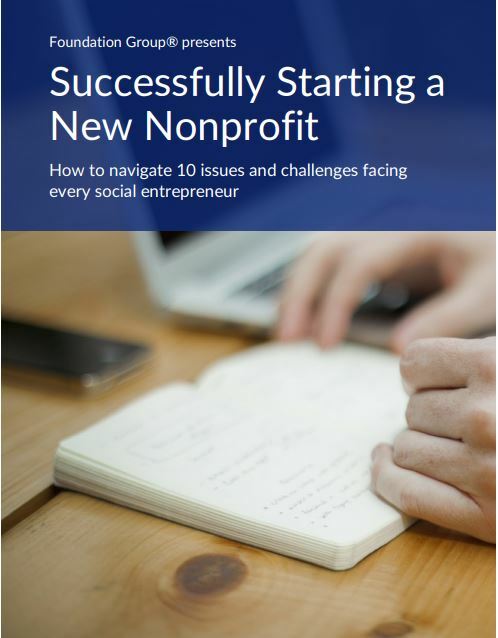 I highly recommend you camp on our blog for a while and read the articles geared toward starting and managing a nonprofit. Most of your questions have answers there. Good luck to you! My board has begun discussion on increasing my compensation commensurate with the other E.D.’s in the county of like organizations. I’m about 15k away from the average. I do receive a 3% cola annually. I actually would prefer a retirement plan rather than the raise. We do not offer a company paid pension to employees and it isn’t fiscally readable at the moment. Do the rule allow the board to offer a plan for just the E.D.? Usually you can. The rules governing your situation are universal to US businesses under ERISA. There is nothing special regarding nonprofits. Under ERISA, you can usually set up compensation and benefit packages that bias in favor of executive staff, particularly a president or E.D. I recommend you consult with a licensed investment advisor for the best plan for your circumstances. Thank you for your time in advance. I am trying to start a non-profit restaurant where 100% of all proceeds are allocated to select charities. Will I run into major hurdles qualifying as a non-profit in the restaurant industry? Um…yes. Lots of hurdles. For starters, the IRS will not approve a restaurant as a nonprofit even if every penny went to charity. It’s not just what you do with the money you make, but what your organization’s purpose is. Not very likely that commercial activity like a restaurant is going to qualify. I’m a bit confused…. I want to start a christian based non-profit for at risk teen girls in rural neighborhoods. I want to provide counseling services, life skills, educational and mentoring services, job skills, residential services for run aways and teen mothers. How would I decide on compensation for all parties involed? Compensation must be tied to the job description. There are a number of websites and other resources that your board can reference in trying to determine appropriate compensation for the job in question. A Google search will likely turn up lots of alternatives, but be prepared to pay a little bit for the better ones. This is an awesome article! I have found more info on this site than I have in the several days of countless researching. I am at the beginning stages and am eager to to get started! Thanks so much! I sit on a nonprofit board and we are planning a fundraising event soon. Can board members receive a percentage of the fundraising proceeds as an incentive to get sponsors, donations, contributions, etc.? In my 12 years of working for a non-profit as an Executive Director, I’ve never heard of this. I tried explaining to them that board members do not receive compensation, other than reimbursement for travel, lodging, meals, etc. that are related to the organization’s activities. Please enlighten me on board compensation and fundraising percentages for board members. Your explanation to them is absolutely correct. This would be, by definition, private benefit…which is expressly prohibited by the IRS. Board members approving compensation to themselves for doing what their positions require is self-dealing. No way around it. I have a question. I sit on a board and over the past few years there has been a steady decline in fundraising. They have two full-time salaried fundraisers and the Executive Director devotes part of her time to fundraising as well. I made the suggestion that for next fiscal year we put tiered fundraising goals in place with incentive compensation tied to each tier. I was told that it was highly frowned upon to link compensation to fundraising goals. The organization has approximately $7,000,000 annual revenues and fundraising totals less than 1/8 of the total revenues. The two full-time fundraisers make about $60,000 each. The incentive compensation would be no more than $10,000 to $20,000. What are your thoughts on this? This is an area of much controversy. The IRS frowns on it and professional fundraising associations forbid their members from engaging in the practice. That said, there are (in my opinion) unique circumstances where this can be made to work. Without knowing more, I cannot say if yours fits that description or not. The key is making sure any potential upside earnings potential does not cause the employee’s total compensation to exceed “reasonable” levels…that is, to go above what the job description and the organization’s budget dictates. If you go this route, be prepared to defend your decision. This is a great article! I am the founder and director of a small 501(c)(3) animal rescue. We are very new and have not yet started raising funds. I am examining grant and will start soliciting funds from private funders. My question is: how does a small nonprofit like mine get funding and able to pay a salary? Can grant monies be used to pay a salary? Can you use grant funding for programs to pay the director a salary? Grant money can usually be used to pay salaries so long as the salaries are necessary program expenses and not considered administrative overhead alone. That being said, I would discourage you from spending much energy pursuing grant funding. While not impossible, it’s not likely…especially for a new organization. You are much better off spending energy engaging your community and building a loyal base of donors. It will get your new org down the road much, much further. We recently held a six-part webinar on funding development. We will be packaging that as a product soon. Once it’s ready to go, you may want to check it out. It will likely help you. Are there any IRS restrictions pertaining to paying a fundraiser a percentage of what he/she brings into the non profit organization? While not illegal, it is a huge red flag. The IRS calls this “non-linear” compensation when it involves a staff member and will usually result in a lot of scrutiny and grief. When it involves an outside fundraiser, it is much more common and less of an IRS issue. It is, however, a disfavored practice in the nonprofit community. When talking about a grant writer, it is simply considered unethical. For more discussion on this issue, see our article “Why You Shouldn’t Pay a Grant Writer on Commission”. Greg, is it acceptable paying a volunteer (not a board member) who is helping with fundraising a percentage of what he fundraise/earn for the non profit during a single fundraising event? Addition: Alternatively, can volunteers be hired by the non profit as independent contractors, working on a commission basis, in order to help with fundraising events (help such as manning the stalls, selling, etc)? If yes, is this commission reimbursable as an org.’s operational expense? If a volunteer is paid, whether as an employee or as a contractor, he is (by definition) no longer a volunteer. As a general rule, it is considered better and more ethical to pay a flat fee for such work as opposed to a percentage. The IRS tends to frown on this, as well. Also, while donors understand that every nonprofit has overhead, many do not like to know that a fundraiser is getting a percentage of the gift. So how much of the organization's total revenue can be allocated to pay its staff? There is no magic formula. You will typically see organizations with smaller budgets necessarily allocate a higher percentage of revenue to payroll. As you get larger, overall payroll allocation tends to get less as a percentage. The bigger concern is making sure all payroll expenditures are necessary and reasonable…and that your payroll outlays do not hinder your nonprofit's ability to accomplish its mission. The Board Compensation Committee of a 501(c)(3) foundation whose mission is to develop and provide funds and programs for a specific organization, is looking at providing an incentive compensation plan to the executive director. The ED's base salary satisfies the reasonable test. We also understand that total compenation needs to be capped. Is there a 'rule of thumb' for the maximum percent of salary that the should incentive be? Not that I'm aware of. The bigger issue is making sure total compensation stays in reasonable range, including incentive bonus. It's helpful to establish a standard low-mid-high salary range for the job description, then make sure salary plus bonus does not exceed the high end of the range. – we know next year we will lose 2/3 of that foundation support. Despite this, our director and newly promoted COO took raises of $10k and $8k respectively this year, so they now have salaries around $170k and $90k. Remaining employees have salaries of $25k to $45k. Can any serious funder look at this situation (with the director accounting for ~20% of operating costs and executive management accounting for 25-30%) and consider it healthy? Does this impact our chance of developing new funding (esp. in this economic environment)? In fairness, any answer I give is qualified by the limits of the details above. Having said that, the director's salary seems excessive. It may not be. There are legitimate organizations with disproportionately high salary costs. This much I can say: appearances can be more impactful than reality…and this appears to be a problem. Great article!!! Does the same premise apply to small non profit booster clubs? Can the board be legally, reasonably compensated? Booster clubs often qualify for 501(c)(3) status, so these compensation guidelines definitely apply. Typically a board member should never be paid unless its for services rendered as an employee. Hi Greg, thanks much for both the article and for replying to questions in the comments. I've been searching in vain for some kind of standard in determining executive pay, or at least data detailing ranges and medians by sector, geography and budget size. Are there online resource where such information is collected and shared? Depends on the organizational type. I have found this to be fairly easy with churches for example (Lifeway publishes a good one). For other organizations, it is more difficult. You may be able to find some information from the Department of Labor or even the area United Way. Another idea would be to sign up for a free account at Guidestar.org and take a look at the Form 990 filings of same nonprofits in your area and/or field. I have a question: I'm starting a non-profit for education and counseling purposes (credit counseling). I am going to be compensated as the president and as counselor. Obviously as I will have more clients, I have to do more work. Can I increase my salary from one month to another, the same with my employee? I have to pay her more if she see more clients. Is that a problem? Does the IRS see it as wrong? My salary is going to be $60000 per year and my counselor $20000 but at the beginning she is going to work part-time only. OK, first things first. You need to be aware that the IRS is cracking the whip on credit counseling organizations. In fact, unless you already have 501(c)(3) status, it is unlikely you will get it. 501(c)(4) at best. Having said that, you cannot control your salary at all…that's a conflict of interest. Your other board members must make that determination on your behalf. Also, you need a fixed compensation amount based on job description. Your question describes what the IRS calls non-linear compensation…and they don't like that sort of thing. Before you go much further with this idea, you need to research the IRS website for information regarding credit counseling orgs. Go to http://www.irs.gov and click on the charities and nonprofits section. You can find a great deal of info there. If I as the founder do not draw a set salary due to lack of working capital may I allow the organization to purchase me a vehicle and pay the expenses associated with that vehicle, i.e. gas, oil ,tires and normal day to day cost and still allow me to use it as a personal vehicle for normal running. That can happen, but it might prove more costly for you than you think. The vehicle could be purchased by the organization and all costs associated with owning and operating the vehicle can be paid for out of organizational funds. The problem is, all personal usage by you is considered income at the maximum IRS standard mileage rate. It works the same as with reimbursement for business use of your personal vehicle, just in reverse. For example, if you drive 5,000 miles per year for personal use of any kind, your W2 at the end of the year must reflect that as 5,000 miles x $0.50 per mile (rate as of 9/10) = $2,500 of imputed salary added to your actual pay received. Your overall tax situation will determine what the true cost to you is. Consult with your tax adviser. I serve on a board for a 501(c)3 organization (a nonprofit community theatre). Our Vice-President of the board is also our Managing/Artistic Director. We bring in enough income now that we can pay her a salary of about $25,000 annually to retain her for her services. The president of another local board, running the county cultural alliance, has advised us to get her off the board if we are going to pay her (for managing the theatre and directing), or the IRS will pull our 501(c)3 status. The IRS website states that "No part of the net earnings of a section 501(c)(3) organization may inure to the benefit of any private shareholder or individual. A private shareholder or individual is a person having a personal and private interest in the activities of the organization." This statement confuses me, because it seems as though, especially for small nonprofits, that there would have to be an overlap of board members and employees. Our Artistic Director wants to remain a Board Member so she has a say in what goes on (but she would not have a say in her salary). We are trying to find out what the IRS is actually saying. Can you help? It does sound confusing, doesn't it? Typical IRS speak. Fortunately, your friend on the other board is incorrect. It is quite normal for board member/employee overlap…especially with smaller nonprofits. The key to avoiding inurement is managing the inherent conflict of interest. Make sure less than 50% of your board is employed by the organization. Then, all hiring and compensation issues involving employed board members must be done with those persons recusing themselves completely. I hope that helps, Rachel. Could a board member of a small non-profit 501c3 be paid a fee for leading educational tours? We are talking about a $50 payment for 1 1/2 hours of their time. We are a working board and are all-volunteer. It is a disincentive for them to not be able to be paid when we pay non-board people for leading the same tours. Last year’s income was around $100K and our net income was around $25K. We want to do things correctly but it is hard to get a solid answer to this. The way your question is asked, my answer is to avoid this situation. It’s one thing to permanently hire a board member to serve as an employee. It’s another thing entirely to authorize stipend payments to any board member for occasional direct services. This puts the organization in a situation where the entire board has financial incentive to favor one another. This is disallowed by the IRS. I don’t recommend it. Great article! I think the term "Non-Profit" is a bit of the problem with trying to figure out the appropriate compensation for the staff. My thought is, I would like to run my non-profit to accomplish its goals, but I need to keep the roof over my family's heads as well. I guess that is the balancing act the IRS would be looking for. In regards to the non-profit's executive…is there a formula to compare the amount of money raised vs the amount given to the executive for salary? Not really…it's pretty subjective. One way to look at it is whether or not the executive's salary is considered program expenses or administrative overhead. In many organizations, salaries make up a huge percentage of the budget simply because it is paid staff members who are conducting the programs. One measurement you can use is to look at the effectiveness of the salary. If you could not accomplish what you are doing without the salary, then it is probably OK. If your effectiveness is actually being hindered by the amount of money going to salary, then you really need to examine that. It takes a truly big-picture evaluation. Good luck. I am the founding director of an animal welfare nonprofit. My roles include fundraising, program management, administration (and anything else that needs to be accomplished). After ten years of either no pay, or a stipend, I was successful in gaining a city grant specific for program management (we collaborate and manage programs for the city). This grant was renewed last year but this year has been cut by 2/3. The roles have grown, the responsibilities have grown. We have no staff. Now I’d like a compensation package that involves a % of grants and % of donations to try to make up for the lost grant dollars. I have an MBA and have been working 50+ hours a week. I am a contractor, not an employee. My contacts and efforts basically comprise most of the organization. I am a voting board member except in the area of my compensation. Please advise. I’m certainly sympathetic to your situation, but you don’t really want to go down the road of percentage-based compensation. The IRS does not look favorably on this and your role as a board member greatly complicates things. If the only way the organization can afford to pay you is based on commission, make sure you install an upper end cap so that your total pay cannot exceed what would be deemed reasonable if you were receiving salary. This is all about the go-forward, too. You cannot make up for lost pay. quick question. I am the founder and CEO of a start-up organization. I do not sit on the Board and have no voting power. In coming up with a budget of capital to be raised for the next year, we are looking at around 4k for the next six months. The organization focuses on providing a service to the disabled. I myself am disabled and have been forced to live on SSDI which is around $500/month. My chairperson says that any monies raised for the administrative expense of my salary cannot exceed 12% (or in this specific case, $400 for the next 6 months. Is this true? Not necessarily. The IRS doesn’t stipulate what percentage limits you must abide by, only that all compensation is “reasonable”. I’m not sure where the 12% figure is coming from.